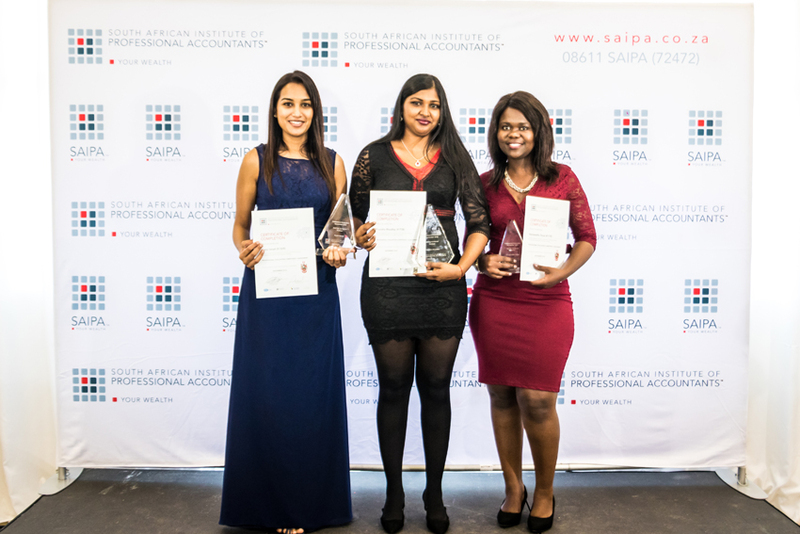 Pranisha Moodley was recently named as Regional Top Achiever, as well as overall National Top Achiever during SAIPA’S Professional Evaluation November 2018 Graduation Ceremony at Greyville Convention Centre in Durban. Following in Moodley’s footsteps are Nazia Ismail (2nd place Regional Top Achiever) and Nomawethu Tenza (3rd place Regional Top Achiever). The Professional Evaluation is a four-and-half-hour written competency assessment (aligned with the International Education Standard – IES 6 issued by IFAC) that every prospective SAIPA member must complete before being granted access to the Institute’s ranks. Prerequisites for taking the assessment, are a SAIPA approved degree or diploma (aligned with IES 2) and the completion of a three-year learnership at a SAIPA accredited training centre (ATC) (aligned with IES 3 – 5). SAIPA’S Professional Evaluation Graduation Ceremony at Greyville Convention Centre in Durban on 2 February 2019.